As I grow more aware about the quality and (limited) quantity of the fresh produce available to me I realice that very few people are as lucky , and many of those living in urban environments cannot afford good food nor are given the opportunity to grow their own kitchen garden or huerto to supplement their requirements and those of their kids. I take off my hat to Michelle Obama who is making Americans more aware of the terrible diets they have by planting a vegetable garden on the White House South lawn and talking about healthy habits whenever she has the occasion. 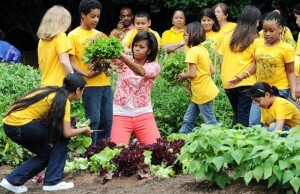 The 100 square meter plot provides more than 55 varieties of vegetables along with fruits that are incorporated into meals made for the Obama family as well as invited guests. Another portion of the yields are donated to the local soup kitchen and the Food Bank Organization. 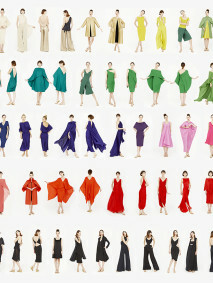 There are 55 varieties of vegetables grown, including: arugula, cilantro, tomatillo, hot peppers, spinach, chard, collards, black kale, berries and lettuce.In addition to the seeds selected to be planted are twenty five heirloom seeds and ten different herbs such as anise hyssop and Thai basil. A dear friend of mine, Carol Ann, has a lush organic vegetable and fruit plot in her garden in Santa Monica, with the produce she feeds a family of 6: that is a lot of produce coming out daily from a small plot of land. I am also inspired by urban farms built on empty spaces such as Urban Adamah right across my boyfriend’s office in Berkeley. It breaks my heart to look at abandoned lots which could, with a lot of love and healthy labor , become fertile little vegetable gardens for the neediest . This should be an example of what can be done for the good of a community with an empty lot. The farm includes chickens and goats. 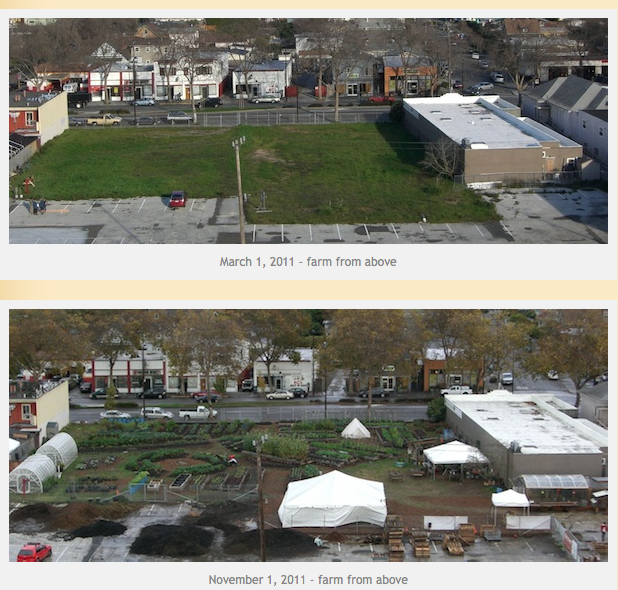 Above : Urban Adamah charitable organization as it looks like today . Photo credit Urban Adamah. The Urban Adamah farm is located on an lot at 1050 Parker Street in Berkeley, California. Our ever-growing farm campus includes two greenhouses, several teaching and program tents, an aquaponics system, a chicken coop, a worm composting operation, a goat pen and milking station, beehives and over one hundred raised garden beds. Urban Adamah is a nonprofit, and we grow our food as a labor of love to increase access to nutritious food and cultivate community. 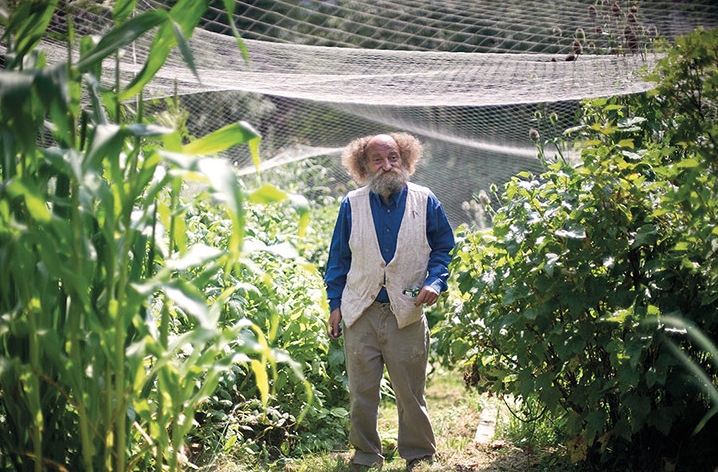 The tenets of permaculture guide all of our farming practices. 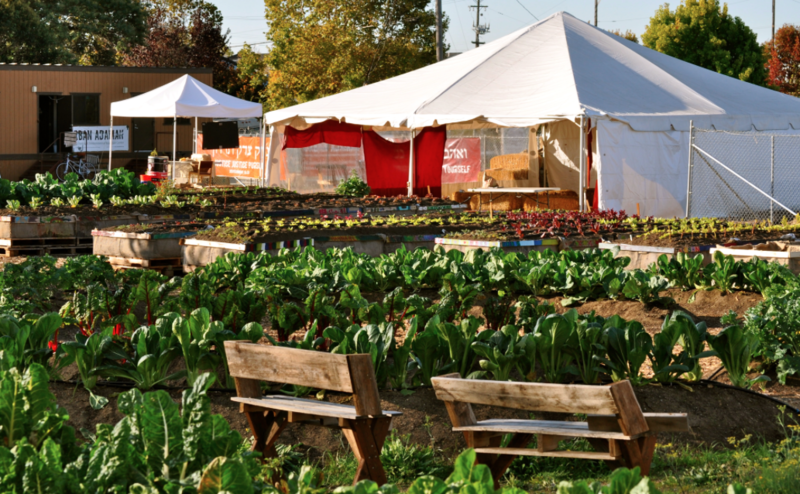 On our one-acre urban farm, we produce approximately 12,000 lbs of organic produce a year, the majority of which we donate through our weekly Free Farm Stand and other community distributions. Our farm site was made possible through a no-cost lease from Wareham Development LLC until the end of 2015. 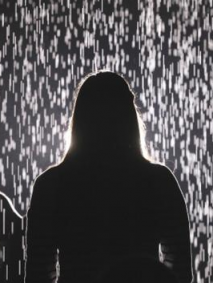 Large cities have become soulless and people are isolating themselves. The barriers of language, class and wealth must seem impenetrable to the less fortunate. 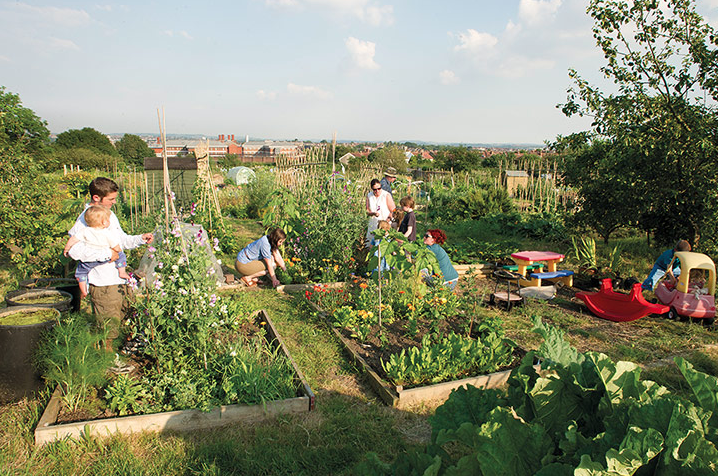 Like public parks , allotments provide a healthy safe place where people of every nationality and religion can live together and create something that is not only useful to their families and community , but also psychologically and emotionally empowering . I can just imagine the solace and confort these havens of peace and nature bring to the elderly immigrants that are struggling with a foreign language and culture , a place where they can garden-talk and share. It makes me angry to see so many places in Spanish cities which have been empty and abandoned for years, gathering garbage, graffiti and dust, knowing how many uprooted people from rural backgrounds emigrated out of necessity to the big city and how fulfilled they would be with their own little huerta. There is an urgent need for these allotments in Spain as we become the Europeans that most self-medicate with anti-depressants and sleeping pill. A vegetable garden not only keeps you fit, it also cleans out the mind and soul. Allotments were conceived in the 19 th century in England as a way to alleviate the distress of the rural poor. Towards the end of the eighteenth century, many rural labourers lost their land and jobs. The misfortunes of those workers had been largely blamed on the process of enclosure. The enclosure of the English countryside was a means by which many small-scattered landholdings were consolidated into a lesser number of larger holdings. This process eventually removed food production from the hands of numerous small producers and placed it in the hands of a few, wealthy landowners. In addition to losing their land, peasants, cottagers and yeoman farmers also lost many of their common rights, which had allowed them to use the commons for grazing animals and forage for fuel and food. Often called simply an allotment, or a community garden (North America) is a plot of land made available for individual, non-commercial gardening or growing food plants. Such plots are formed by subdividing a piece of land into a few or up to several hundreds of land parcels that are assigned to individuals or families. Such parcels are cultivated individually, contrary to other community garden types where the entire area is tended collectively by a group of people.In countries that do not use the term allotment (garden), a community garden can refer to individual small garden plots as well as to a single, large piece of land gardened collectively by a group of people. 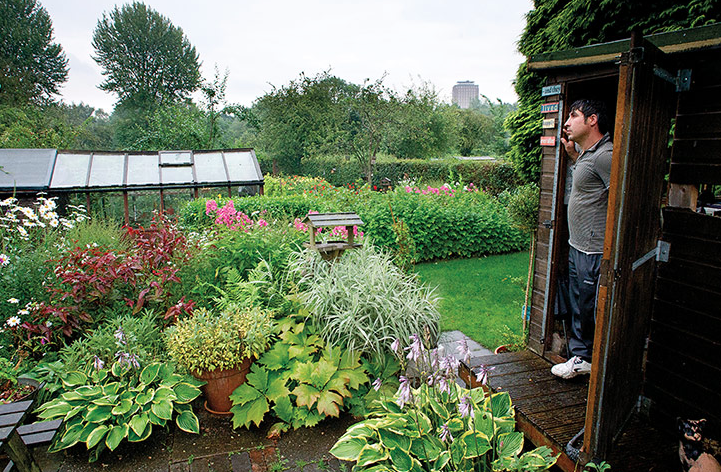 An allotment is one of the best – and cheapest ways – of getting hold of valuable gardening space to grow your own produce, along with being sociable places, great for meeting like-minded people . The individual size of a parcel generally ranges between 50 and 400 square metres, and often the plots include a shed for tools and shelter. There is a beautiful book called My Cool Allotment by Lia Leendertz and Mark Diacono. From The Guardian here is a selection of some of the plots they visited and the characters they met. Above : Ali Abdulla has had a garden of his own here since 2008. An asylum seeker from Kurdistan, Ali has found a warm welcome among the allotment holders. His beautifully tended plot filled with a pond, beds of dahlias and a perfect lawn has won city-wide prizes, and become the refuge he came here looking for. Photo credit Mark Diacono. Text from My Cool Allotment. 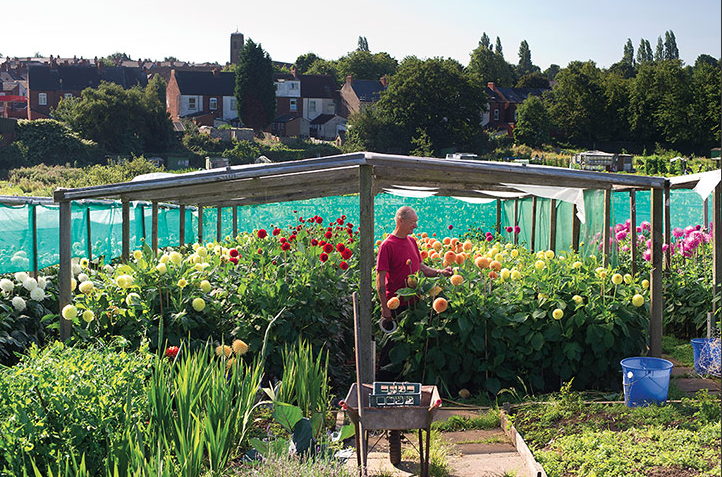 Brian Carter’s allotment in Birmingham is a sea of dahlias. Photo credit Mark Diacono. Text from My Cool Allotment. 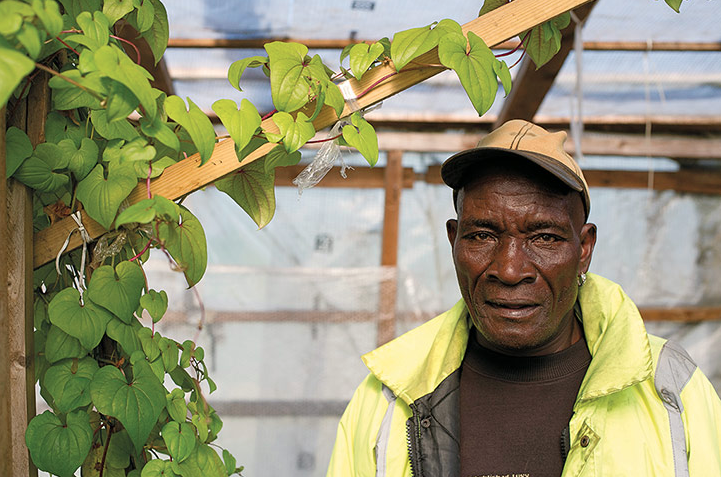 Glandel Archer on his allotment in Birmingham. One of his main crops is callaloo (Amaranthus viridis), a leaf vegetable eaten like spinach and popular in Jamaica and India. He grows way more than he needs for himself, with the express purpose of giving away the surplus to fellow Jamaicans. He has his hands in the soil of his adopted country, sure, but that same soil is linking him to his past and cementing his present community together. Photo credit Mark Diacono. Text from My Cool Allotment. Nell Nile is an artist and the colours of her flower-filled allotment in Bristol reflect those of her art – soft pink and coral, vibrant purple, egg-yolk yellow and raspberry red. Photo credit Mark Diacono. Text from My Cool Allotment. Lia Leendertz and her friends and family on their Bristol allotment. When her plot became too much, Lia approached friends who were on waiting lists or keen on the idea of allotmenting to ask if they wanted to share the allotment. Now they meet on Sunday mornings to dig, weed and sow. Photo credit Mark Diacono. Text from My Cool Allotment. 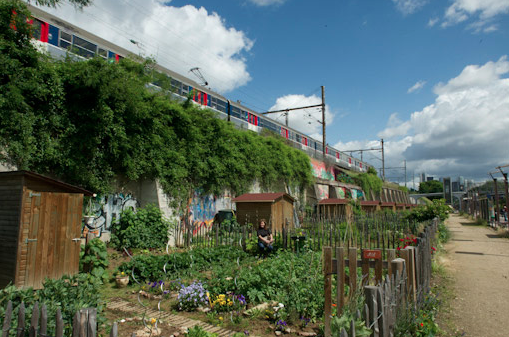 Sophie Laporte’s jardin familial in Paris is sandwiched between a train line and a tram line at Belvédère de Suresnes. The wall behind her plot is covered in ever-changing graffiti and a constant stream of commuters passes her garden gate. Photo credit Mark Diacono.Text from My Cool Allotment. 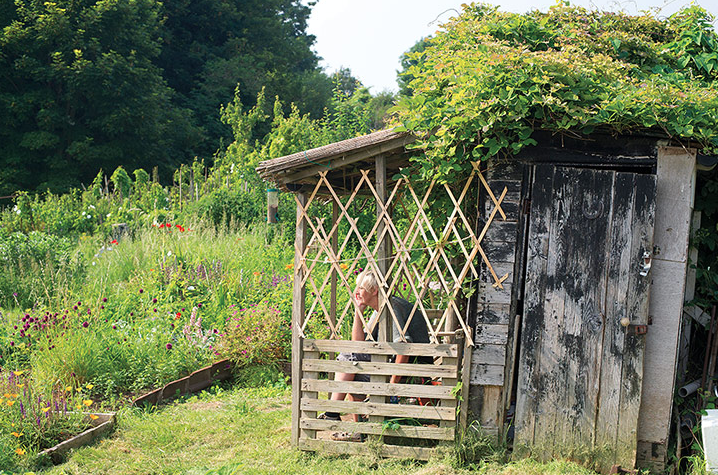 Bristol permaculture guru Mike Feingold has four plots which he uses to demonstrate, trial and teach permaculture principles. Photo credit Mark Diacono. Text from My Cool Allotment. From my favorite allotments in New York, South Beach Miami, London, San Francisco, Los Angeles, Paris or Rome….every time that I see them, full of vegetables, herbs and flowers, my heart skips a beat and I find myself peering over the fence and into the planted boxes, praying that they will be still be there a few years from now and not turned into yet another ridiculously expensive condo for yuppies. We need urban allotments and community gardens, we do not need any more overpriced condos for yuppies . because Spanish people are NOT into gardening! With the very high rate of unemployment, specially amongst Young people, and the fact that youth has left small towns, a huge amount of rural Spain has been abandoned. 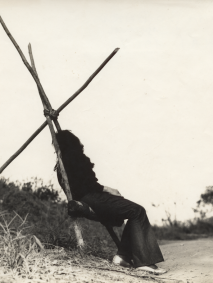 There is a new, timid, movement of “ayuntamientos” donating village houses and small plots of land, to Young unemployed couples, so that they can move back into rural environments, instead of staying unemployed in large cities…. yes ! what is the matter with them ? why can’t they do them in Spain…..mainly in the center of towns ….look at the cement disaster at the empty vast plot of unused land next to the Mercado De La cebada in my neighborhood….all cement ! why did they not convert that into small allotments ?